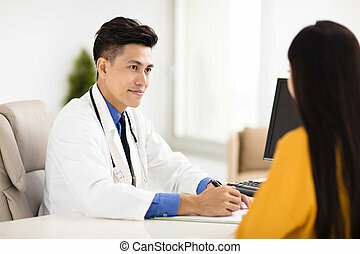 Doctor talking with his patient. 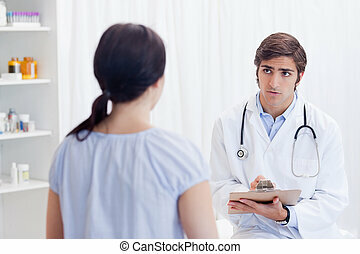 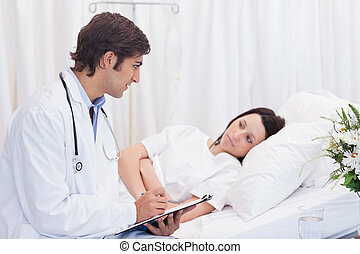 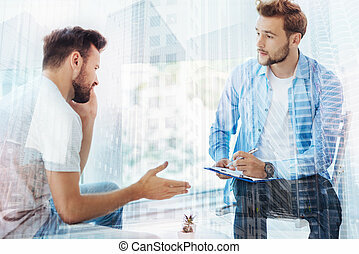 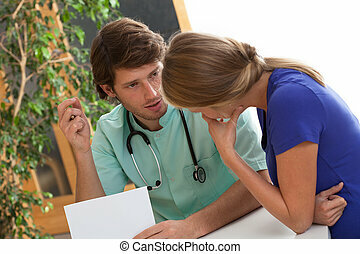 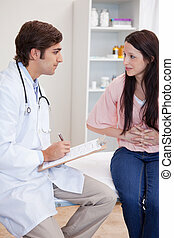 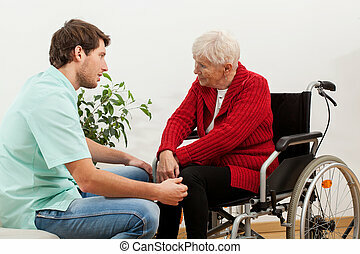 Male doctor talking with his patient. 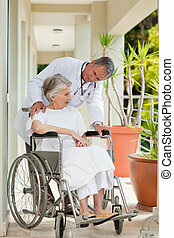 Ready to help. 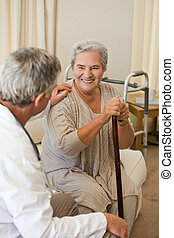 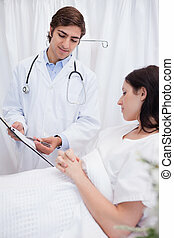 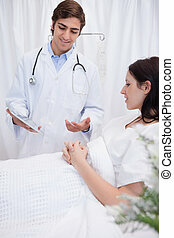 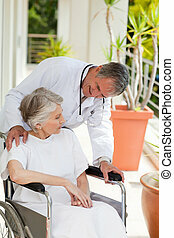 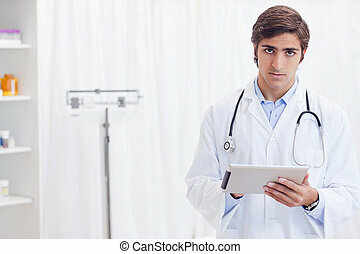 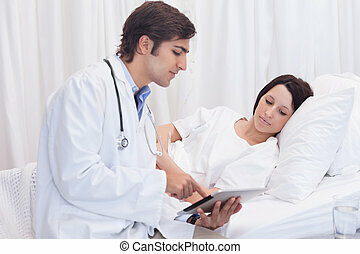 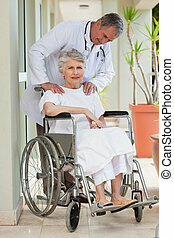 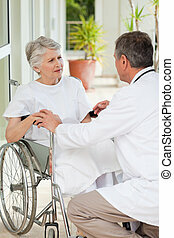 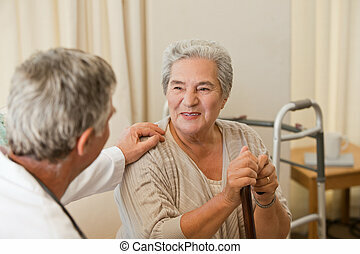 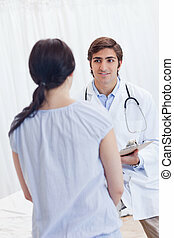 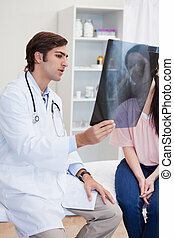 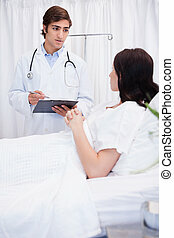 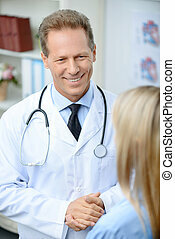 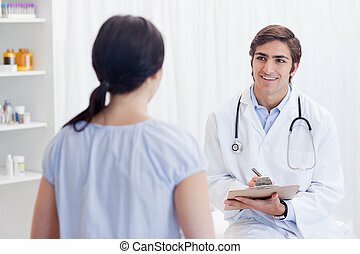 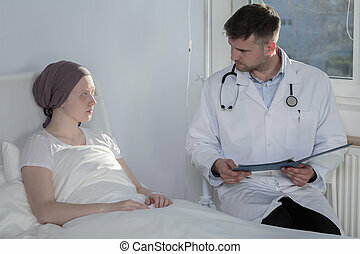 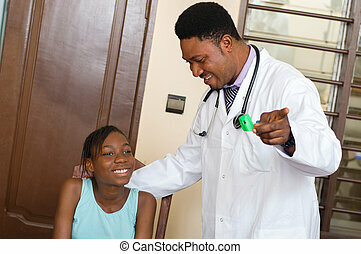 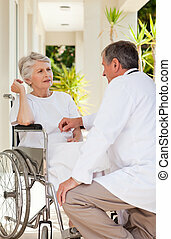 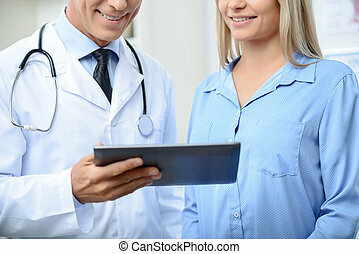 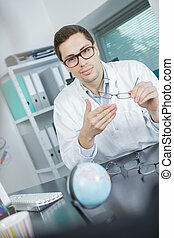 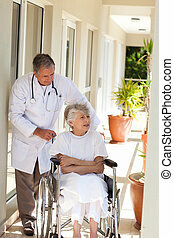 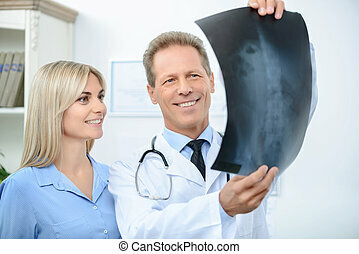 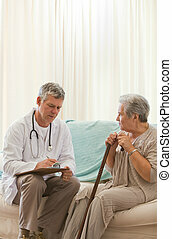 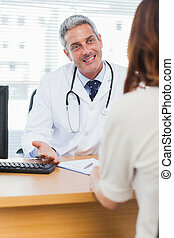 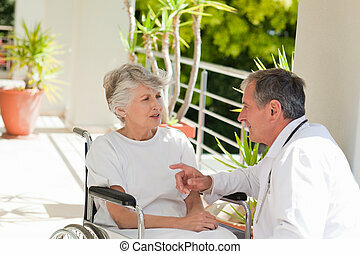 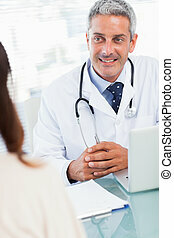 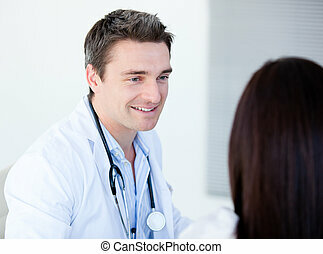 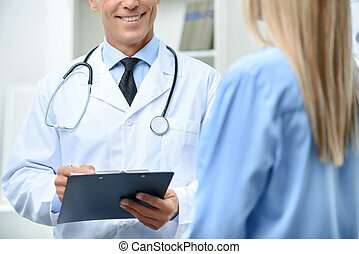 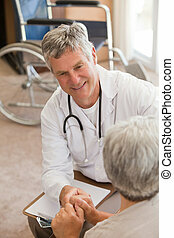 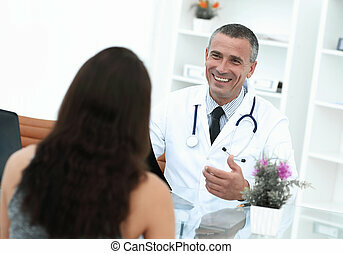 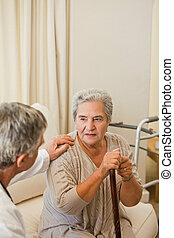 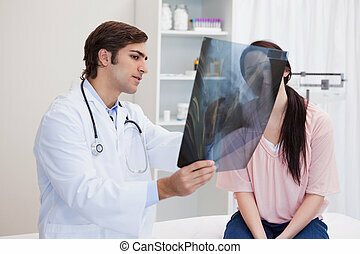 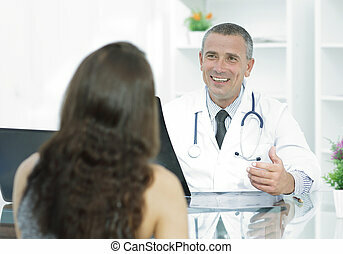 Agreeable elated smiling doctor holding his hand together and talking with his patient while being busy at work. 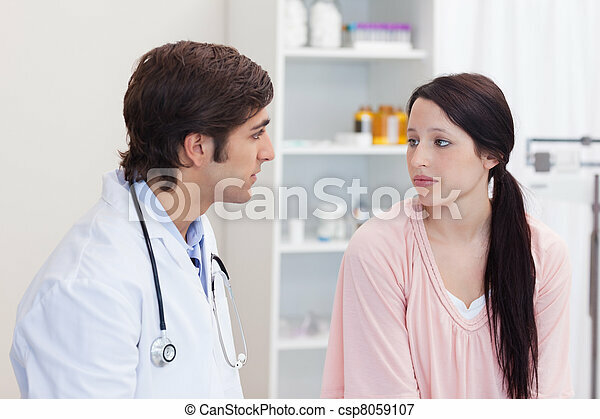 doctor standing next to his patient, explains what to do after consultation.